I've had a few exhibitions this year! I finally showed my project TRANSFORMATIONS both at Limewharf and at the Glory where I also took to the stage and did a talk about my work with the one and only Dr. Sharon Husbands! My opening at Lime Wharf was a dream with performances from Ginger Johnson and Fabulous Russella who pulled out all the stops! Huge props to Tam Vibert for her support and encouragement too! and... OMG the Glory made coasters with some of my images to celebrate the show!!! I also had some portraits on show in Gillet Square which I made with some of the 'Regulars' and I showed work in group shows; 'We R' for pride and the Dalston Street show, part of Photomonth . Our collective D.A.R.C. 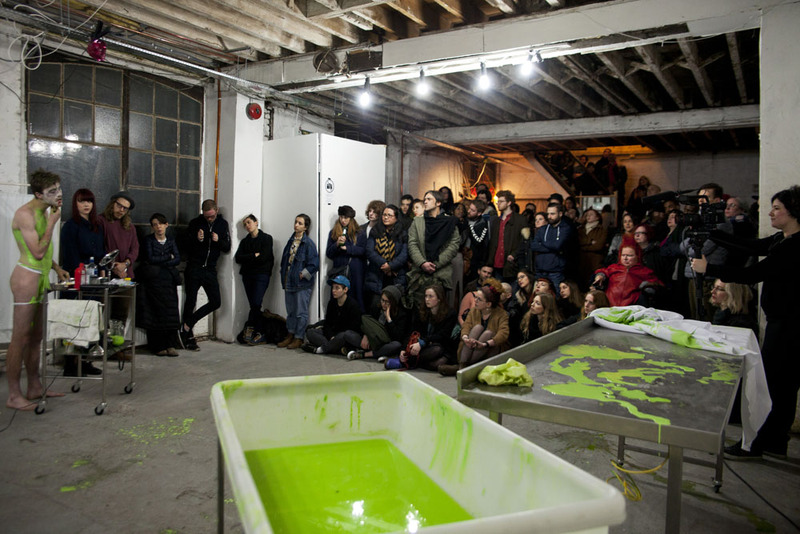 has expanded and we have put on a number of events in our studio space in east London, as well as a workshop at Roehampton university. This year we will be focussing on a new project 'Transformance' which invites performers to collaborate in the making of documentation for new performance work. It was a momentous occasion when Christeene returned to renew her wedding vows with David! 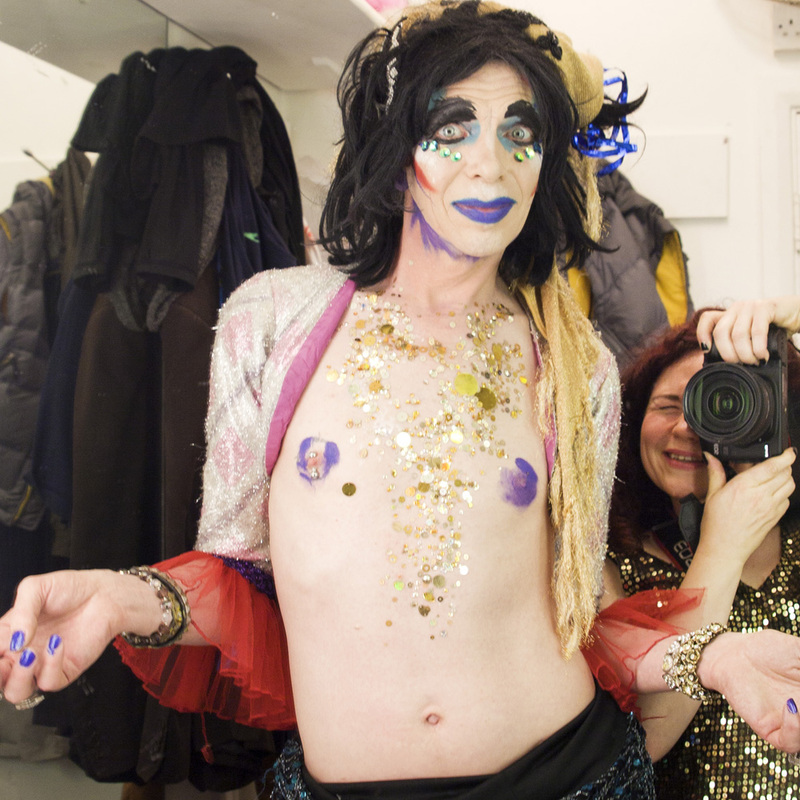 Last year I spent a lot of time collating and collaging my pictures of David Hoyle from the last 6 years to make a photobook which will be published this year! I had a great time over the summer working on portraits with a number of BRILLIANT people from our community - an ongoing project which will become a book and an exhibition in the future... Watch out - I'll be calling you!! I continued to work in-house for The Glory and their events along with some promotional images with Jonny woo and co.
and for Duckie documenting their big events and doing a Photo Booth for their 21st birthday party where the punters had to strip for pics - what a hoot!! 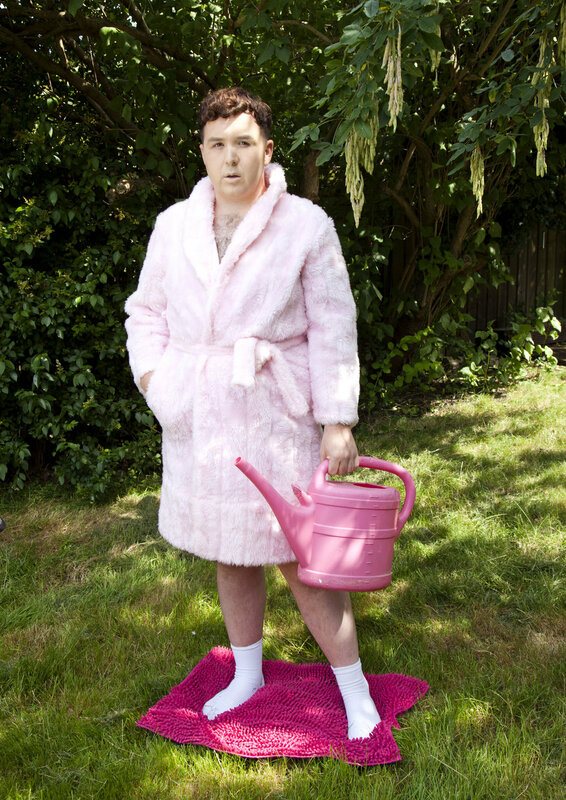 I worked with Nando Messias on his promotional images and documentation for his brilliant new show 'Shoot the Sissy'. 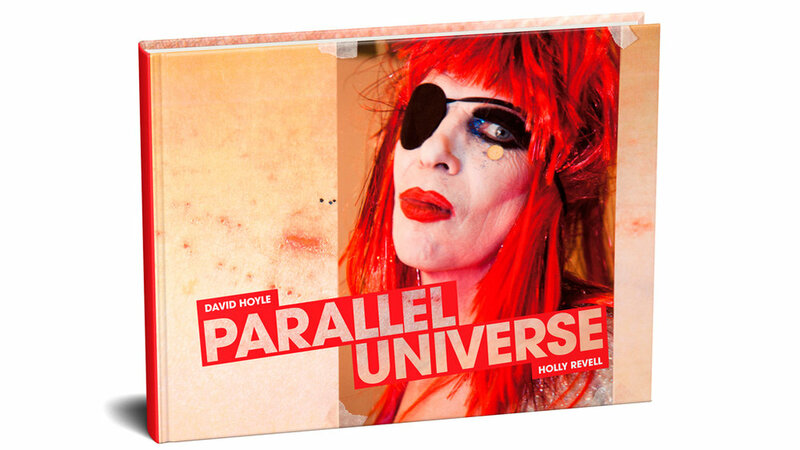 My pop up photo-studio SHOWOFF has made a couple of appearances including one where I worked with the lovely Darren Evans 'make up artist of the stars' doing 5 minute David Hoyle faces! I have also loved meeting and working with some exciting new young performers this year!! My first gig with Fender (hopefully one of many!) Here I worked with the lead guitarist from the Fews showing off his new guitar! They were supporting the Pixies at Brixton Academy and there's Joey Santiago in that backstage snap! To end the year I went on a tour of Penge with local poet Barbara Brownskirt taking promotional photographs for her upcoming solo show this year - a truly bizarre and wonderful day out indeed!! So that was a selection from the many wonderful people I've worked with over the past year. Watch this space to see new projects begin to unravel and others hopefully reaching fruition... ! !